Chanteur Country US né le 3 Mars 1922 à Taylor (Texas). 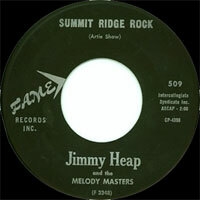 Jimmy Heap, à la tête de ses "Melody Masters", fit ses débuts en 1949 chez Imperial Records et obtiendra un premier Hit Country en 1955 chez Capitol. Jimmy, cowboy, guitariste et chanteur occasionnel, à la voix chevrotante, enregistra également pour Fame (57), D (59), Dart (59) et Winston Records (61). Il fut un chanteur régulier sur la radio KTAE de Taylor (Texas). Jimmy Heap est décédé le 4 Décembre 1977. 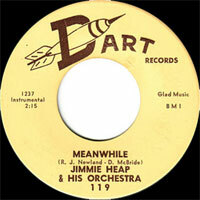 Western swing bandleader Jimmy Heap led the Melody Masters for over three decades and contributed one country classic to the genre, "The Wild Side of Life," covered by Hank Thompson, Burl Ives and Grady Martin, Freddy Fender, and more recently, Waylon Jennings and Jessi Colter. Heap's "Release Me" also provided Esther Phillips and Engelbert Humperdinck with their first Top Ten popular hits, in 1962 and 1967 respectively. James Arthur Heap was born on March 3, 1922, in Taylor, TX. He formed the Melody Masters just after his service in World War II, with sidemen Arlie Carter, Louie Rincon, Bill Glendining, and Horace Barnett. 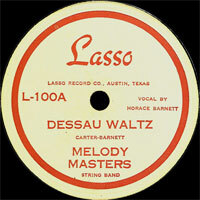 A continuing spot on local radio gave the Melody Masters a bit of renown around central Texas, and Imperial Records signed the band in 1949. Some time before the initial recordings, Heap — who played only lead guitar — hired Houston "Perk" Williams (born 1926) to provide Vocalss along with his fiddling duties. Though Williams had never sung before, his good performance on their debut release, "Today, Tonight, and Tomorrow," guaranteed him the spot ever after. 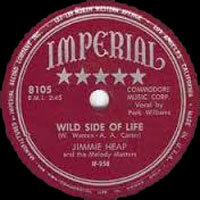 Another song, "Haunted Hungry Heart," was covered by Slim Whitman, but it was "The Wild Side of Life" that provided Jimmy Heap & the Melody Masters with their big break. Hank Thompson & the Brazos Valley Boys took it to number one in March 1952, and the single spent 15 weeks there. But even before Thompson had borrowed the biggest hit of his career, the country star had advised Capitol Records to sign Heap. 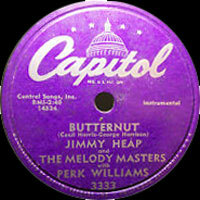 Over five years the Melody Masters recorded 32 sides for Capitol, including their big hit "Release Me," which charted in the Top Five in January 1954. 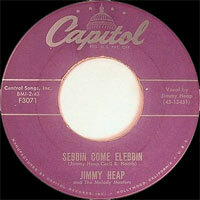 No other Capitol singles charted, and Heap left the label in the mid-'50s to form Fame Records. The Melody Masters recorded for Fame throughout the 1950s and '60s and even integrated rock & roll inspirations. 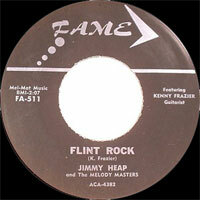 Heap disbanded the group in July 1977 but drowned in a boating accident before the year was over. 1951 78 t. IMPERIAL 8101 (US) . 1957 SP BIG BAND JH-1001 (US) . 1958 SP FAME FA-502 (US) . 10/1959 SP IMPERIAL X8325 (US) . 1964 SP PLA-BOY 1101-1 (US) . 1964 SP PLA-BOY 1102 (US) . 1965? SP SPLASH SP-1001 (US) . 1965? SP SPLASH SP-1002 (US) . 1967 SP FAME FA-900 (US) .